Another month, another monthly ratings victory for Fox News. If you’re counting at home, that’s 194 months, since January 2002, as the most-watched cable news network. For February, 2018, FNC was also the No. 1 basic cable network in prime time and in total day, in both total viewers and the A25-54 demo. 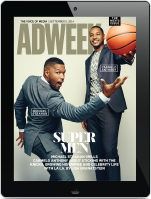 This was its 20the consecutive months as the most-watched basic cable network in total day. But not all was spectacular for the cable news juggernaut, ratings-wise. While Fox News was indeed No.1 in all relevant measurements, the network posted year-over-year audience declines. Compared to Feb. 2017, Fox News was down -5 percent in prime time viewers, and down -3 percent in the prime time demo. FNC was down by double digits in total day versus last February, down -12 percent in total viewers and down -10 percent among adults 25-54.
Notable TV news events in Feb. 2017 included Pres. Trump naming Neil Gorsuch to the Supreme Court in prime time, Mike Flynn‘s resignation, and Bill O’Reilly‘s Super Bowl interview that was rebroadcast on Fox News. Feb. 2018 (Jan. 27 – Feb. 25) included Trump’s first State of the Union, which set records for Fox News, wall-to-wall coverage of the Stoneman Douglas High School shooting, Robert Mueller indictments, and the government shutdown. Fox News’s night time lineup of Tucker Carlson, Sean Hannity, Laura Ingraham and Shannon Bream had standout months in their respective time slots. Feb. 2018 was Hannity’s most-watched month since moving back to the 9 p.m. timeslot last fall. Hannity was also the most-watched program in cable news for the fifth consecutive month, and managed to knock off 9 p.m. rival Rachel Maddow in the key A25-54 demo, something the program failed to do in Jan. 2018. Tucker Carlson Tonight was No. 2 show across cable news in Feb., both in total viewers and among adults 25-54. A kerfuffle with NBA superstar LeBron James may have helped give The Ingraham Angle its best month since launching in Sept. 2017, both in total viewers and among adults 25-54. 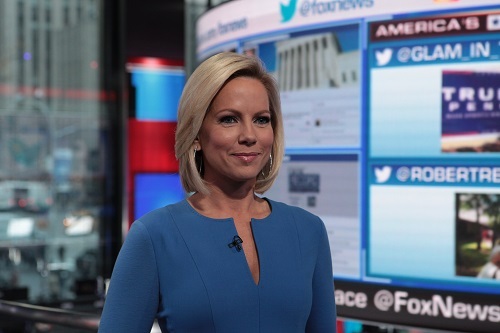 Fox News @ Night anchored by Shannon Bream won in the 11 p.m. timeslot after losing to The 11th Hour With Brian Williams in Jan. 2018. The Bream-led program had its best month since launch, both in total viewers and among the A25-54 demo. Lou Dobbs continued his run as host of the No. 1 business news program in total viewers. He has now held the title for 22 consecutive months, per Nielsen data. Stuart Varney’s three-hour market-open program Varney & Co. defeated its CNBC competitor in total viewers for the 19th straight month. Countdown to the Closing Bell with Liz Claman also placed in the top three most-watched business news programs, averaging 241,000 total viewers in February, and maintaining her status as the most-watched solo female anchor on business television. Lastly, Maria Bartiromo’s Mornings with Maria delivered its most-watched month ever and third monthly win over its business news morning show competition.